A chemical toilet to suit every budget from the cheap and cheerful Kampa Khazi to more sophisticated dual chamber toilets from Kampa and Dometic. You can also buy the Fiamma range of Bi-Pot toilets and bidets for Porta-Potti and Thetford cassettes and or just a replacement or spare kassette for your existing motorhome toilet to extend your range between campsites. 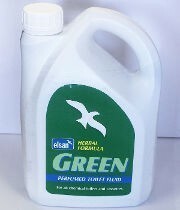 and environmentally friendly Green Toilet Fluid with no Formaldehyde for eco conscious campers. High density polyethylene construction makes this an extra tough portable toilet to with stand knocks and bumps in transit and storage. The Dometic 966 also has a scratch resistant matte finish that is easy to clean and looks new for years. 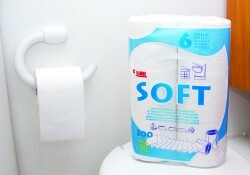 Pack of 6 special 2 ply soft toilet rolls . The Fiamma toilet tissue is specially formulated for cassette and portable chemical toilets. 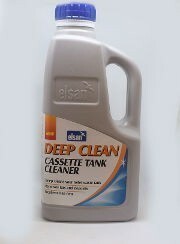 It breaks down easily in water so it doesn't clump making emptying the cassette or waste tank easier and less messy. Made to measure toilet cover for the Kampa Khazi portable toilet. 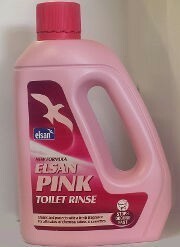 Hides the toilet away and helps prevent smells from escaping. Taller version of the Kampa Khazi portable toilet at a more comfortable height making it a little easier to easier to raise yourself and lower on to the toilet. The Lulu toilet/Utility tent is an ideal addition for your camping/caravan holiday. With its shock corded poles it is easy to erect and compact to store. Sanitary, odorless, and leak proof, Porta Potti is the world's leading brand of portable toilet. On the road, on the water, or at home, Porta Potti is ideal. 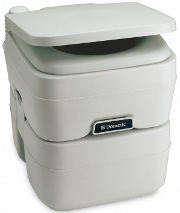 If a power outage causes loss of water, it's Porta Potti to the rescue. 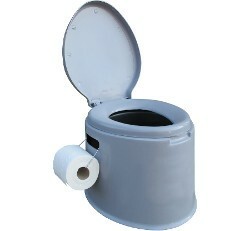 Truckers love Porta Potti too, because it's safe and convenient in a sleeper cab. 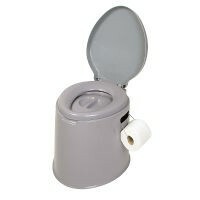 Simple and cheap portable toilet suitable for camping, caranning, boats and outdoor events, the Kampa Khazi is an excellent value alternative to flushing toilets. Compact when not in use, the outer shell can be used for storage when travelling. Available as Fiamma Universal Bidet for all Bipot chemical types, Thetford Porta Potti and Thetford Cassette 1, 2, 3 and 4, or, Fiamma Bidet 200 for swivel bowl Thetford Cassette 200, C250 and Dometic CT3000. Fiamma Bi-Pot is the simplest yet strongest, self-contained portable chemical toilet available and makes an ideal toilet for any caravan or motorhome. 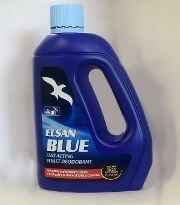 Available in three models of different dimensions, Bipot 30 (11 litre holding tank), Bipot 34 (13 litre holding tank) and Bipot 39 (20 litre holding tank).